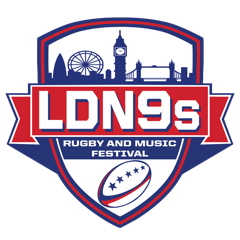 Rugby League and Rugby Union Team entries in the LDN9s: the largest Rugby9s festival in Europe! All playing to RL9s festival rules. All teams participating must have preregistered and paid online. Team entry fee allows a squad of up to 15 players. STRUGGLING TO RAISE A FULL SQUAD/ DON'T HAVE A TEAM BUT WOULD LIKE TO PLAY? We can still help you out. You can grab a couple of mates and join as 'Ringers'! If you are not registered as part of a team entry, you can still come along and enjoy the festival - simply register in advance to take advantage of our Early Birdticket offers and enjoy a feast of rugby and a full day partying away until late! All RFL affiliated Rugby League teams will be covered by extended RFL liability insurance whilst playing in the tournament. All RFU affiliated Rugby Union teams should ensure they have adequate liability insurance in place which covers a cross-code tournament. It is the responsibility of each individual participant to ensure they have the adequate level of playing insurance. Rugby 9s is a version of rugby league played with 9 players on each side and is very similar to rugby union 7s. The shorter, fast-flowing games make it exciting and ideal for one day festivals. Zach and the team from 'Get Set Therapy' will be available, providing taping services as well as soft tissue mobilisation and all important remedial massage for those post-match aching muscles.... getting you loosened up for the 12 hours of DJ partying! If the ball enters touch, play is restarted with a play-the-ball, to the non-offending team, 20 metres in field from where the ball entered touch. If a defending player touches the ball before it crosses the touchline and is deemed by the referee not to have played at the ball, the defending team will restart play with a PTB 20m in field form where the ball enters touch. The ball must land in the field of play. If it is kicked directly into touch, a free tap is awarded to the non-offending team at the centre of the halfway line. Where the defending team is required to recommence play with a Goal Line or 20 metre Drop Out, they must do so within 20 seconds, so as not to unnecessarily delay play. This time period will commence once the referee is back in position and signals. (c) in the event that a player is held up in-goal. If a team withdraws from the Tournament or is, for any reason, disqualified from further participation before completion of the pool stage, the placing’s for that pool will be calculated as though that team had not participated in the pool.